The day of the wedding is so special for every one that if you want to add a special touch to it you have to select a gorgeous wedding gown with a traditional touch or with a sophisticated sheath or with a romantic tulle or with lace overlay. Among various styles of wedding gowns available in the bridal market, the one with the lace gives a radiant look as this attire transforms the bride into an object of beauty and serenity. Choose that style that flatters your figure. The amount of lace put into the dress decides the grand look of the dress. Some of you may like the simple ones with neat finish with limited lace and some others may want this to be elaborate with a bit of gaudiness. But it must suit your look and figure. 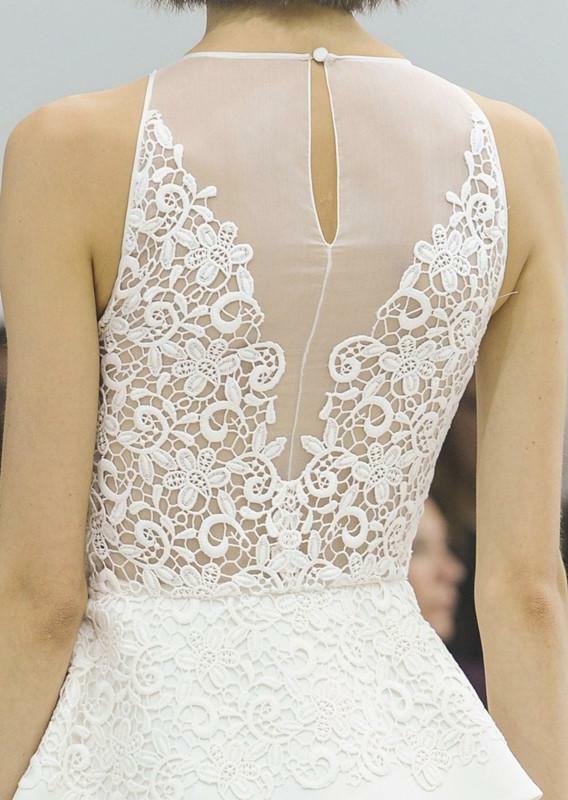 Adding lace to the dress can be done on any part of it and will turn even the plain dress into eye catching one. Not all laces have same quality and thickness. Some of them may be a bit stiff and produce scratches. Vintage laces are soft and flexible. If the holes in the laces are too big, it may lead the dress to tear when moving fast. Cheaper quality laces may stick out leaving you in discomfort. The laces may be utilized in any form, all over the dress or only on the upper or lower region of your dress. Some may prefer lacy material merely over the sleeves to show off the beauty of the hands in a different way. You may either order your gowns to a professional dress maker or choose from the variety of readymade ones in the shops and online stores. A lace wedding gown exclusively designed for you with perfect finish, no doubt will expose your feminine beauty and make you look charming. They will surely invite raised eyebrows and hushed conversations.